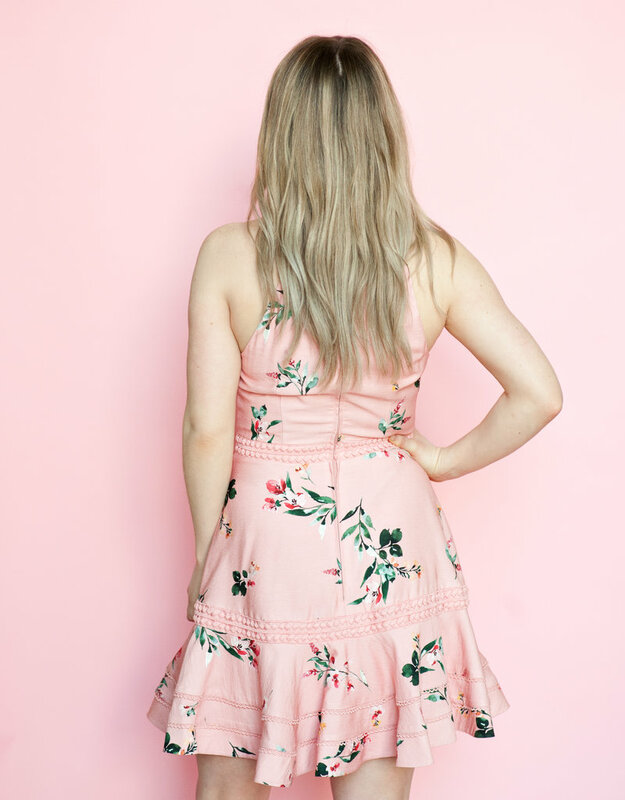 A beautiful floral mini dress from Keepsake the Label. A pretty woven linen blend fabric with elegant trim and a fun a-line skirt. This mini dress is beautifully made with a delicate print and detailing. A pretty woven linen blend fabric with elegant trim and a fun a-line skirt. Adjustable straps and hidden back zipper. Fabric: Linen Blend. Lining: 100% Polyester. Designed in Australia. Model in pink is 5'4" wearing size small. Model in White is 5'7 wearing size x-small.